Apple has released iOS 9 and adoption rate is pretty high. This new version of iOS comes with few good new features. 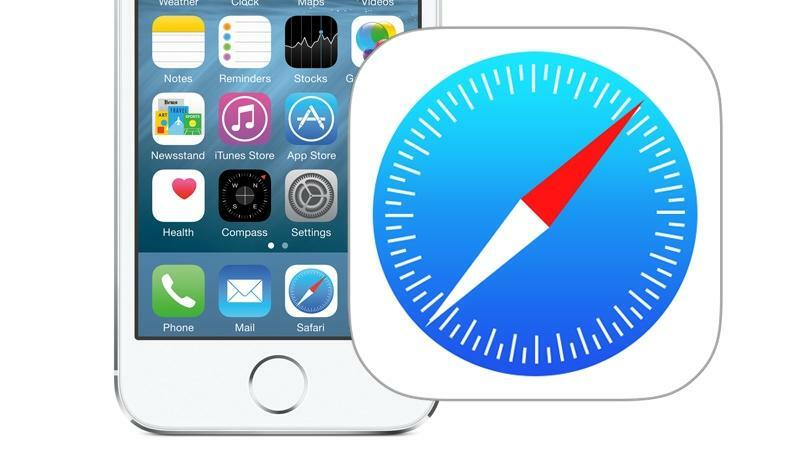 Safari is the primary browser on iOS used by millions of people globally. iOS 9 also brings few changes in iOS 9. Now search within the page is also different than previous versions. 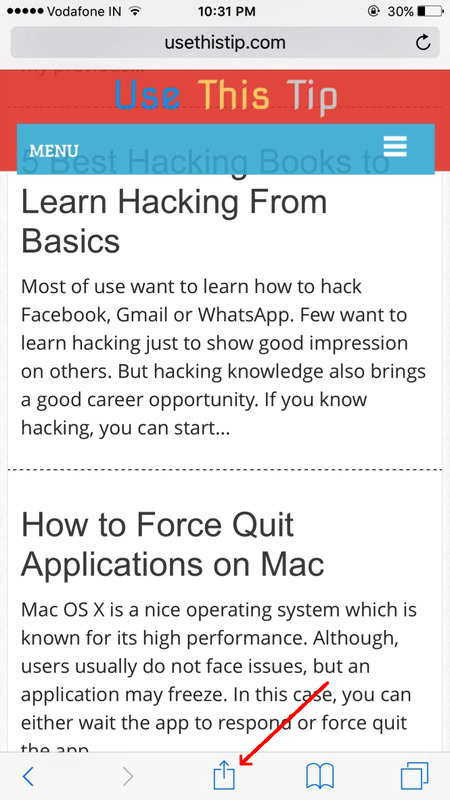 If you are still struggling to get how to search a text on webpage in Safari for iOS 9, you should read the guide below. Step 1: Open desired web page in the Safari on iOS 9. 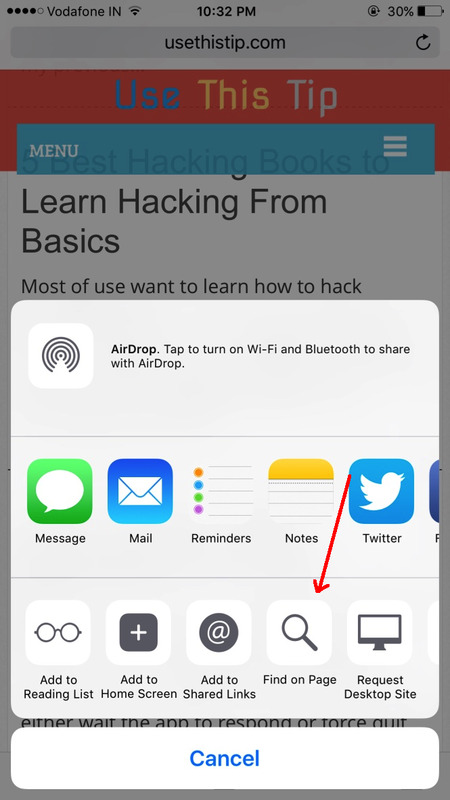 Step 2: Tap the share button in the bottom of the page. 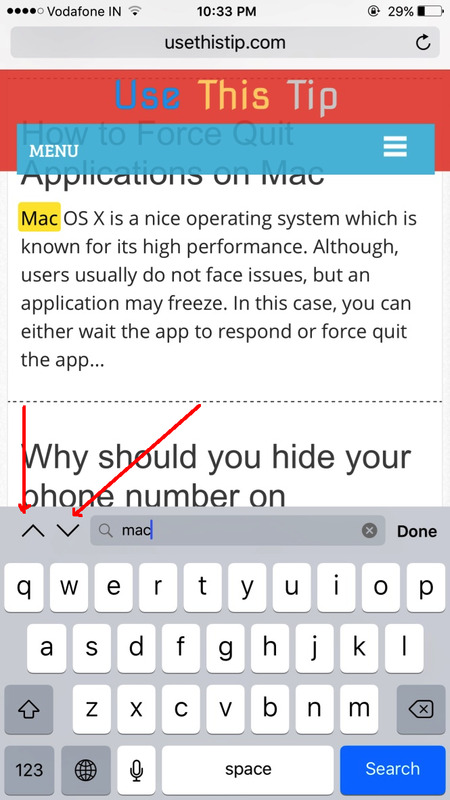 Step 3: Now in the third row of options, tap on ‘Find on phone’ option. Step 4: You will see a search box. Type the search query. At the left side of search box, you will see arrow keys to find next and previous. If there more than matches, you can use these arrow icons. These were the steps to search a text in a web page in Safari for iOS 9. If you have anything to ask, comment below.